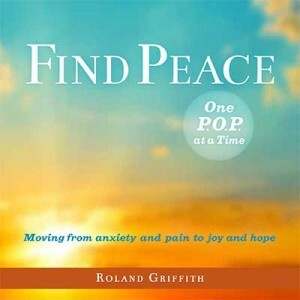 Running across Roland Griffith’s Find Peace … One POP at a Time is like finding a diamond on the beach of despair. It’s a unique and wonderful little book, giving encouragement for when you are down and tips to pull yourself back up again—and would be a thoughtful gift for a friend or loved one. Beautifully designed, yet simply worded, this one is for everyone and anyone. Try it--I promise it will give you a lift! Beautifully designed, yet simply worded, this one is for everyone and anyone.